I will never forget the day when Caroline Royds, a long-standing friend, arrived here at the gallery one grey and gloomy February afternoon. 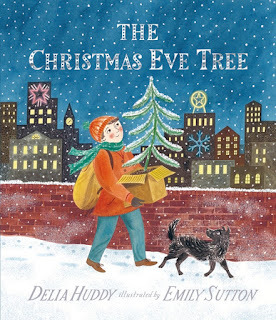 We had arranged to discuss plans for a charity event, but mysteriously she quickly diverted the discussion to books - that was the moment when The Christmas Eve Tree lit up my life. 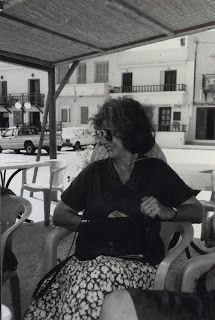 With some excitement Caroline related how my mother, Delia Huddy, had been working on a manuscript for Walker Books some ten years ago when sadly and unexpectedly she passed away. The story unfurled - it transpired that Caroline had recently opened a neglected drawer one afternoon to behold this dusty manuscript lurking, waiting to be rediscovered under a sheaf of papers. She re-read it again after many years and the magic was re-ignited. 'Would you be agreeable too our publishing it?' The question came as a shot out the blue - I could not believe my ears. What a wonderful moment that was - one that I shall never forget. Needless to say when I broke the news to my two sisters and hordes of nephews and nieces the uproar could be heard across London. It was and still is one of the most exciting things to have happened to our family. As children we were always aware of my mother, squirreled away in her small study tapping away on some antiquated type-writer (the IT 'wheel' had yet to be invented), and as cheeky and malicious children do, we always sniggered as another of her books was published. How cruel and unappreciative we were! To write and publish books is such a divinely-inspired talent, and as always one appreciates those who do such great things when it is often sadly too late. But here it was that second chance, the opportunity resurrected to relish and celebrate not only a wonderful book but my mother's talent and life-long dedication to books, writing and her family. It is therefore with enormous pride and gratitude that we now see The Christmas Eve Tree in print, and thrilling to celebrate its launch here at the Illustrationcupboard Gallery along with the superb illustrator Emily Sutton, who has done such fabulous artwork for the book, as well as Walker Books, most especially Caroline, without whom this would never have come to pass. 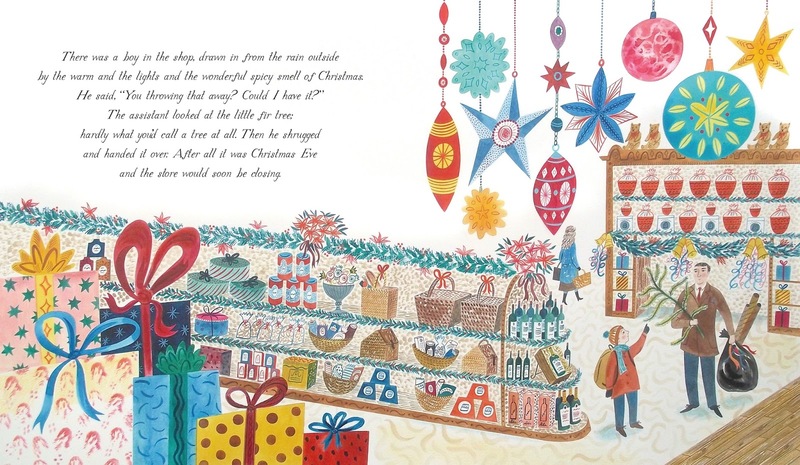 The original artwork from The Christmas Eve Tree can be seen (and purchased) at the Illustrationcupboard Gallery as part of the 2015 Winter Exhibition. You can also purchase signed copies of the book at the Illustrationcupboard online shop. 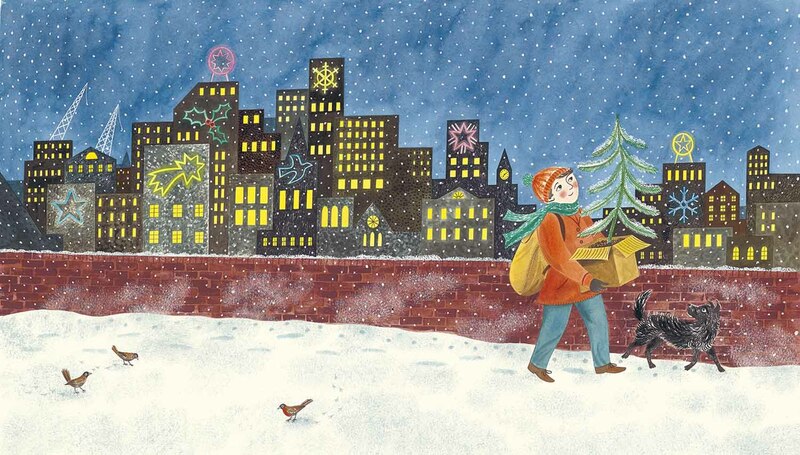 Join in the festive fun and download The Christmas Eve Tree activity sheets here.